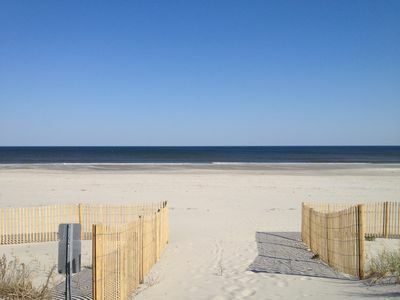 Custom Beachfront! 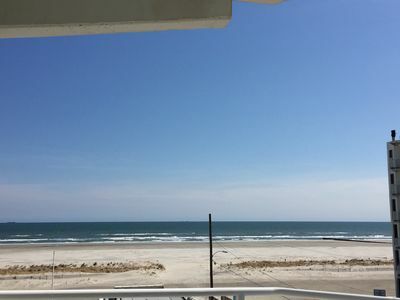 Breathtaking, Panoramic Views of Ocean and Bay ! Wow ! Wow! 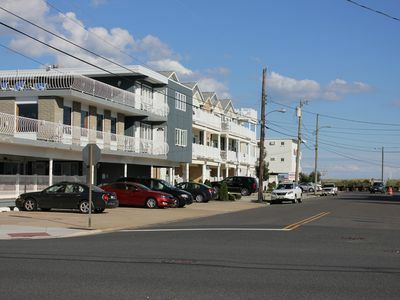 Located right on the beach at the quiet, most desirable north end of Sea Isle City, this townhome features spectacular ocean and bay views and truly remarkable amenities! 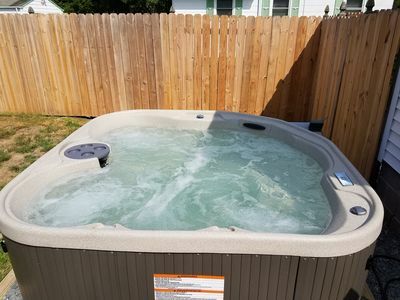 With four bedrooms and plenty of comfortable living space, this beautiful vacation home is perfect for families to share. 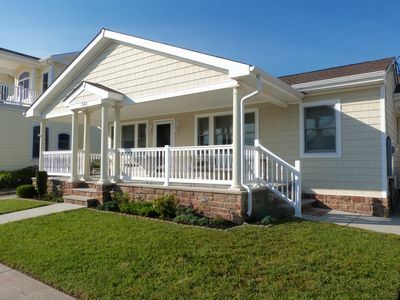 As you enter the 1ST floor you will notice three large bedrooms, a master bedroom suite with a full bathroom. It features sliding glass doors that lead out to a private deck where you can rest in a lounge chair or enjoy your morning coffee. Two other bedrooms feature twin beds. 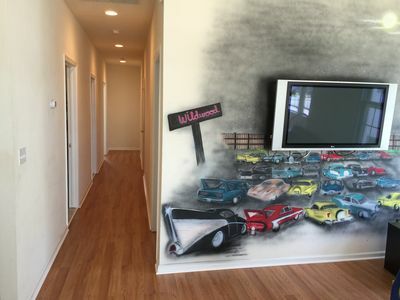 All bedrooms have ample closet space, and TVs. Also located on this floor is another full bathroom. 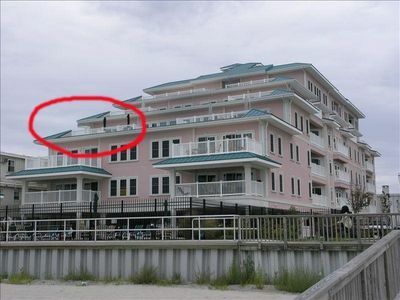 As you enter the 2nd floor you will immediately notice the breathtaking ocean and bay views! 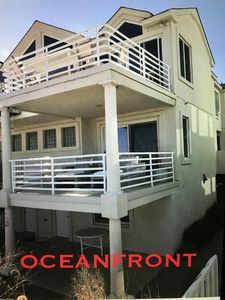 This house is uniquely positioned so that there is a full, unobstructed ocean view from the front of the townhome and a full, unobstructed view of the bay from the back of the townhome. Open the sliding doors in the front and back of the townhome, along with the many windows to experience the balmy summer breezes and water views from every window and door. Also featured on this floor is a spacious, and airy great room with comfortable seating that takes advantage of the views. There is a large, fully equipped open kitchen with granite counter tops, and a huge center island with 6 stools. There is also a sizable dining room with a large dining table that is situated to take advantage of the bay views. 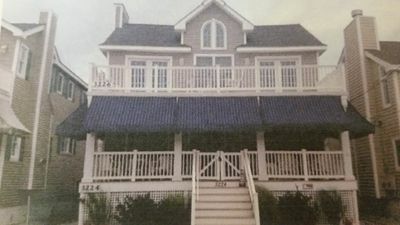 Featured on this floor are two decks, one facing the bay, where you can stand and enjoy the bay and an ocean facing deck with a table and umbrella and lounge chairs. from the deck and living room! 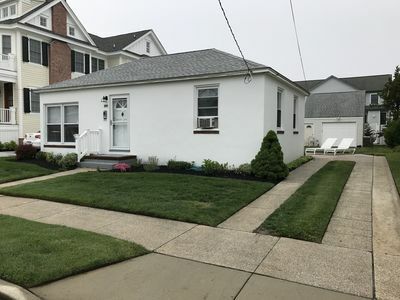 Also featured on this floor is a gas fireplace, a queen sofa sleeper, a wet bar with granite counter top, a powder room, a laundry room with a full size washer and dryer, and a large TV, DVD player and stereo. The 3rd floor features another master suite. 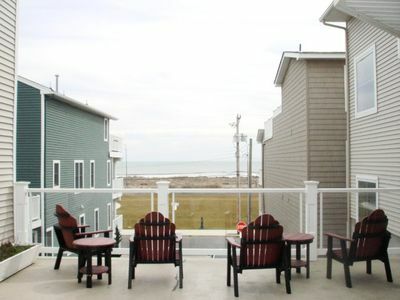 The first thing you will notice are the incredible ocean views through the large picture window. The ocean is literally the first thing you see when you sit up in your queen size bed in the morning. This beautiful loft also features a master bathroom with a Jacuzzi tub and a separate glass enclosed shower. There is also a TV in the bedroom. 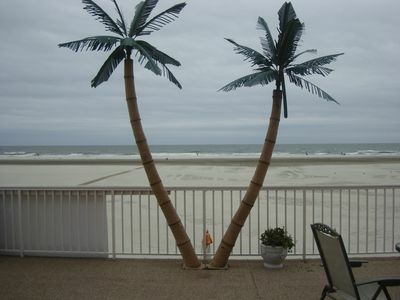 We have provided for you a perfect vacation home that has truly remarkable amenities and exquisite ocean and bay views. A home equipped with the comforts and conveniences of home away from home! 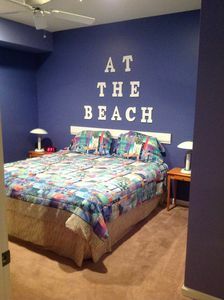 Beach Block Large Family Friendly Condo. NEW! 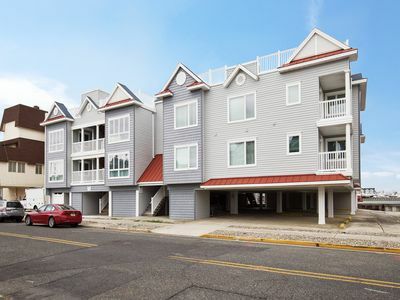 Wildwood Condo - Steps to Boardwalk & Pier! 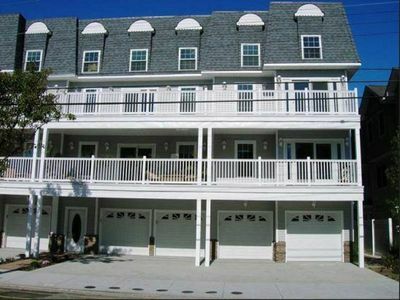 Oceanfront 5 bedroom 4 Bathroom Townhouse with Spectacular Views!